For patients with rare, life-threatening diseases, there often isn’t the option to wait for promising new medicines to come to market. Clinical trials allow these patients to try investigational drugs while they are still in development, however, not all patients will be able to enroll in active clinical trials. To support these excluded patients, companies can choose to make their investigational drugs available, outside of the clinical trial setting, through the FDA expanded access framework. There are obvious risks involved in expanded access, and there are a number of reasons companies shy away from offering this treatment option. 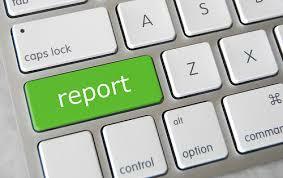 One of the main concerns for companies is a serious adverse event (SAE) reporting. Because expanded access is intended to help ‘high risk’ patients who are excluded from clinical trials, and because a drug is administered outside the tightly controlled and regulated clinical trial setting, there is a greater possibility of patients experiencing an SAE which is unrelated to the use of the investigational drug. Companies, therefore, worry that SAE reporting under expanded access could hurt their chances of receiving marketing approval. To help alleviate these worries, last year, the FDA updated the guidance for industry, “Expanded Access to Investigational Drugs for Treatment Use: Questions and Answers” (questions 25 and 26) in order to clarify how SAE data are viewed under expanded access. This update clarifies that a suspected SAE must only be reported: “if there is evidence to suggest a causal relationship between the drug and the adverse event.” The FDA understands that there are factors that confound the interpretation of SAE reporting, including the severity of underlying disease, any co-morbidities, concomitant medications being used, and a lack of controls. The FDA has highlighted that it is extremely rare for SAE reporting under expanded access to negatively impact a regulatory decision. The agency has said that it hopes this clarification will address the reluctance by certain companies to provide medicines through expanded access, due to uncertainty around how the FDA will handle SAE data.